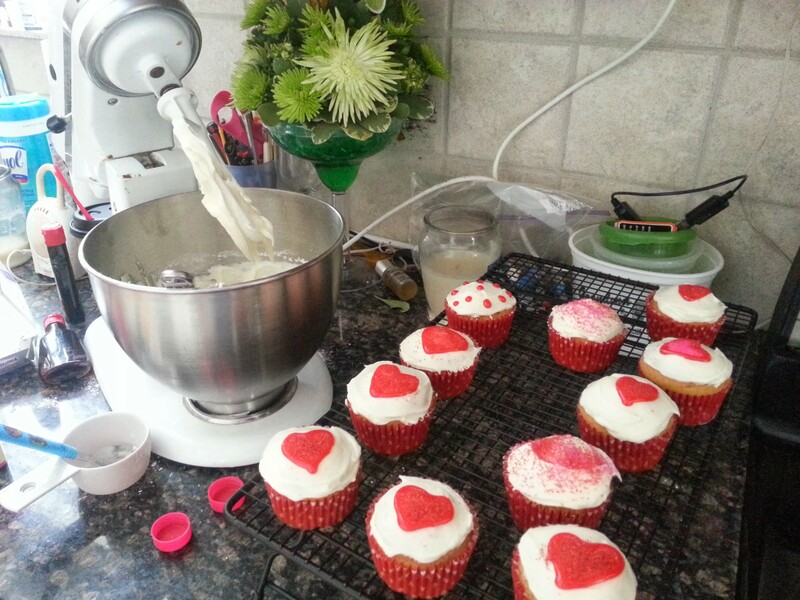 Another snow day, another round of baking. I got my pumpkin fix with these pumpkin gingerbread cupcakes with cream cheese frosting. 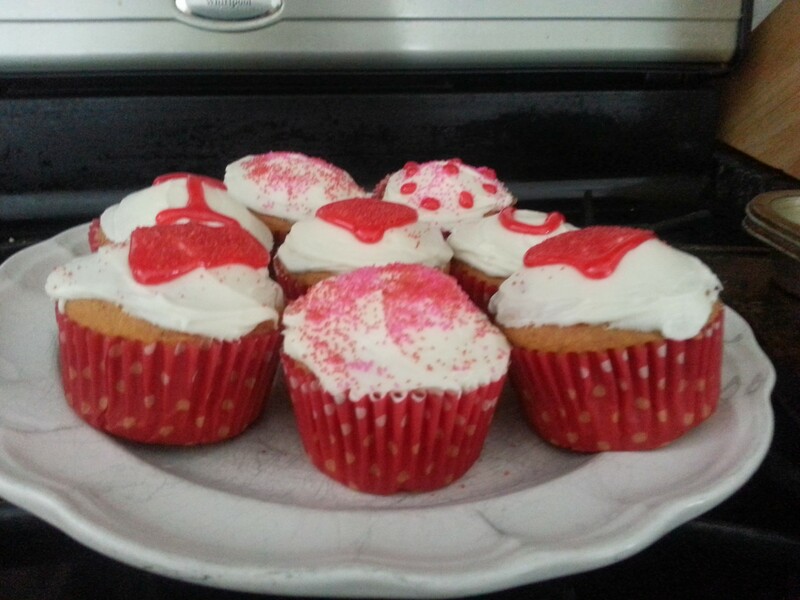 They were delicious, so to keep myself from eating them all, I gave several out as Valentine’s gifts to various folks. Although my daughter ate one, the boys didn’t like them (shocking). The hearts are outlined with red gel and filled in with red sugar. I went into a Zen state trying to get the heart shapes right — it’s not as easy as you would think. 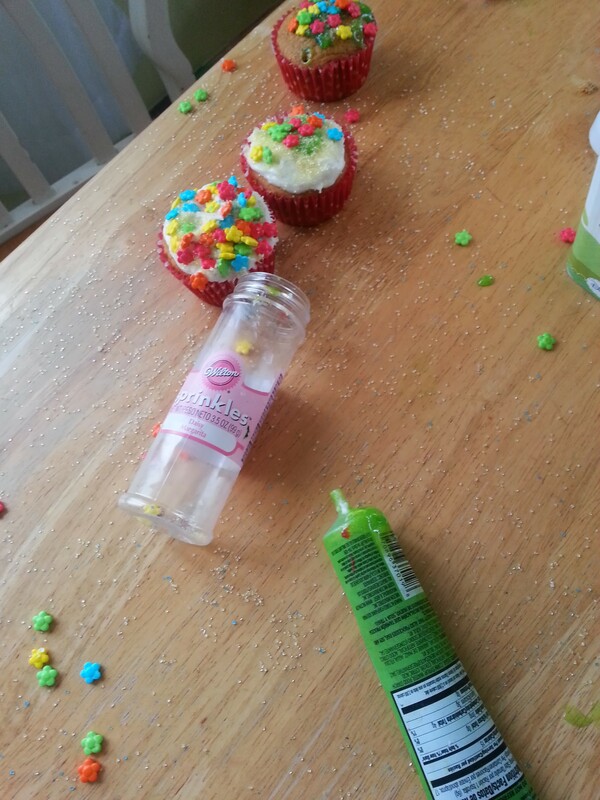 Meanwhile I gave the two little kids a couple cupcakes to decorate; that kept them busy for quite a while. I had Christmas cupcake papers that worked quite nicely because the Christmas part was only on the bottom. Combine all ingredients except biscuits in Crock Pot. Cut biscuits into quarters and place on top of the mixture. Cover and cook on high for 3 hours (or until biscuits are browned). Do not stir until the end. It tastes better than it looks here. So the biscuits end up tasting like dumplings. 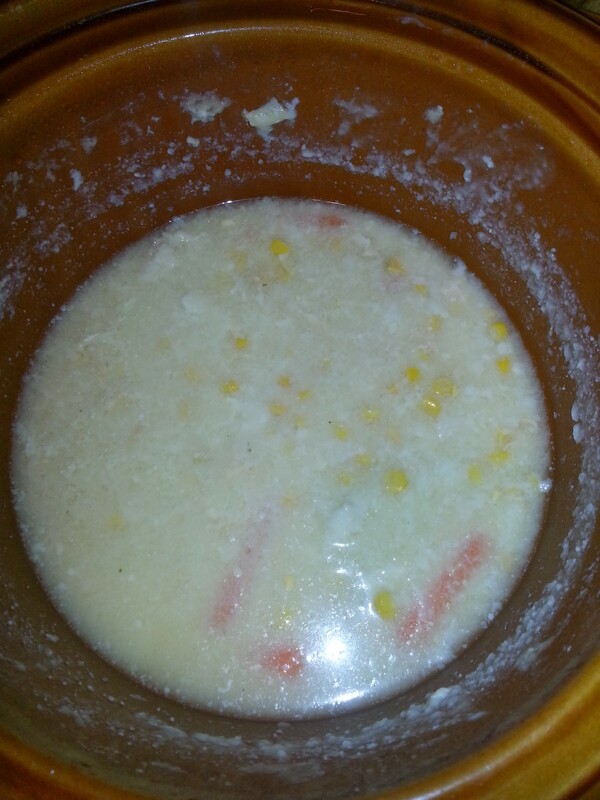 It’s like chicken soup on crack. It is super duper chicken-y. Great on a cold night. I had it Saturday for dinner too. I got the recipe from a friend of mine several years ago. There are many other versions floating around that use fresh chicken, but this is the way to go if you want to keep it extremely easy. More later on my weekend of birthday parties and even more baking. 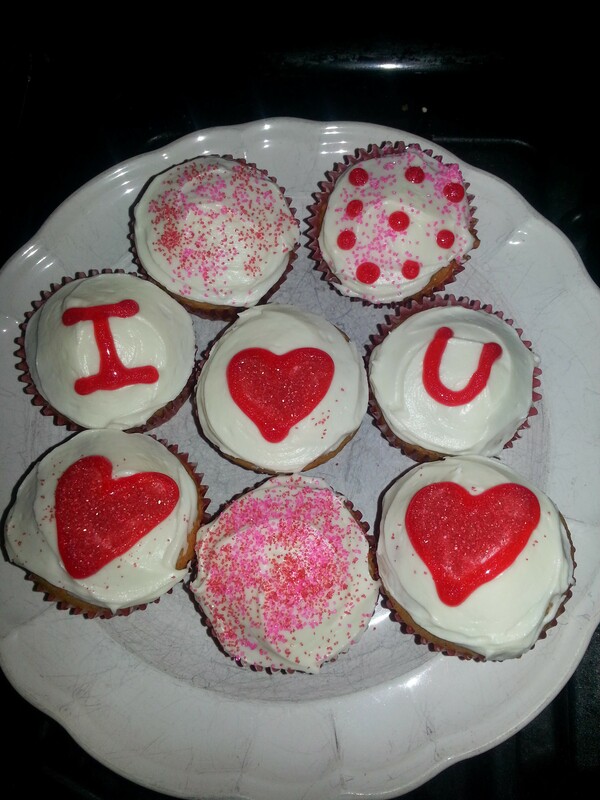 Cute cupcakes! The pork dinner sounds yummy too! !